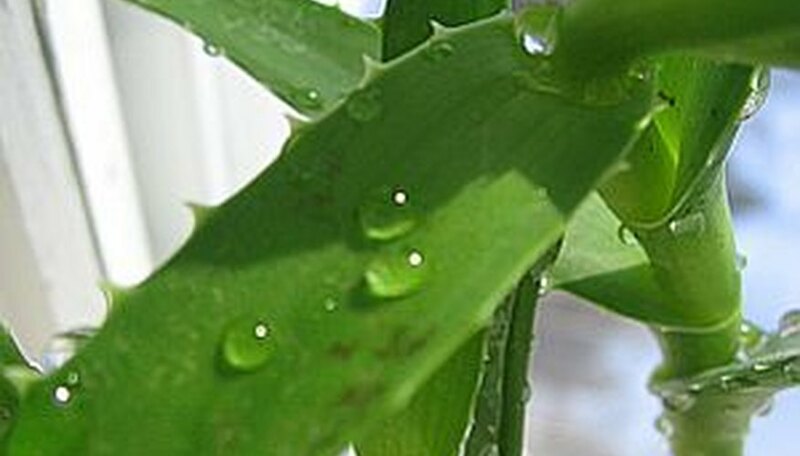 Aloe vera is a succulent plant that is widely recognized as having healing properties. Many people choose to grow an aloe vera plant in the home so that they will have the beneficial aloe available to treat burns and other skin ailments when needed. When you have one aloe plant, propagating another aloe plant from the original plant is a very simple procedure. Prepare the planting container by filling it with potting soil. Use the garden shears to remove a 4-inch cutting from one of the aloe vera leaves. Insert the cutting into the dirt to the halfway point on the cutting with the cut end going in first. Water the cutting generously and place it in a location where it will receive indirect natural light. Water the cutting every other day for one month to keep the soil moist. After one month, water the cutting only once per month. Expect the leaf to shrivel somewhat during this time but do not give in to the temptation to water more than once per month. Keep the new aloe vera plant in a warm spot with indirect light. Water enough to saturate the soil and then allow it to dry completely before watering again. Transplant to a sunny location outdoors if the temperature will stay above freezing. If the outdoor temperature will not stay above freezing year-round, keep the aloe vera as an indoor plant. If you intend to plant the new aloe vera plant outdoors in the ground eventually, fill the planting container with soil from the outdoor growing area. This will force the plant to grow accustomed to the soil from the start and will eliminate any transplant shock after you move the cutting outside.